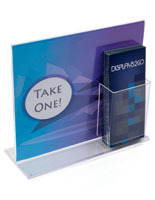 Displays 8-1/2" x 11" Flyers in Back of Display. 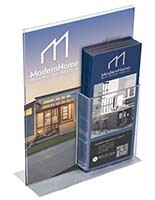 Pamphlet Pocket Holds 4-1/2" Literature. 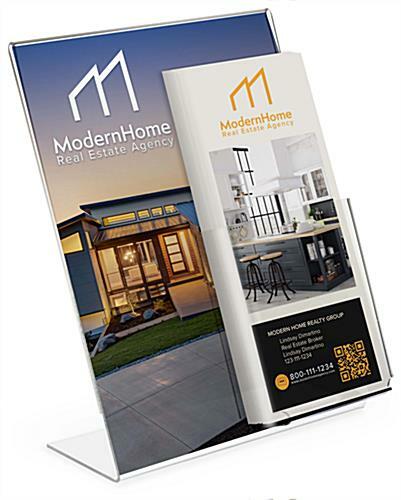 Slanted Construciton Presents Easily Viewable Content to Customers. 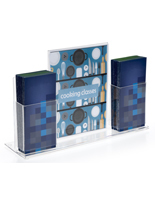 This acrylic countertop brochure holder is able to serve two advertising opportunities at one time. 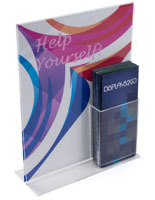 The literature display features a leaflet enclosure in back with a clear pocket for trifold pamphlets. 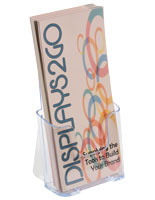 The brochure holder for desktops is slanted to present the best views possible to customers sitting or standing. 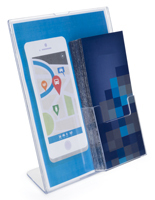 The combination leaflet and pamphlet literature display is a money saver, but part of the back design will be covered by the reading material placed in the clear pocket. 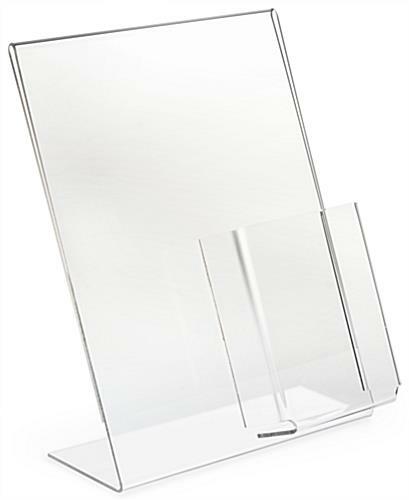 The holder is ideal for checkout counters as well as desktops, and tables. 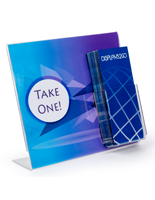 The structure presents an 8-1/2” x 11” paper for advertising and a pocket designed to fit 4-1/2” wide pamphlets. 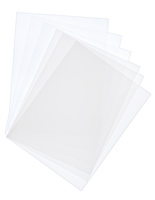 4.1" x 5.5" x 1.5"